There’s something undeniably seductive about a hotel bar. Intrinsically it’s a hub for adventure. Patrons from far and near. Moods that range from high-spirited to hush. 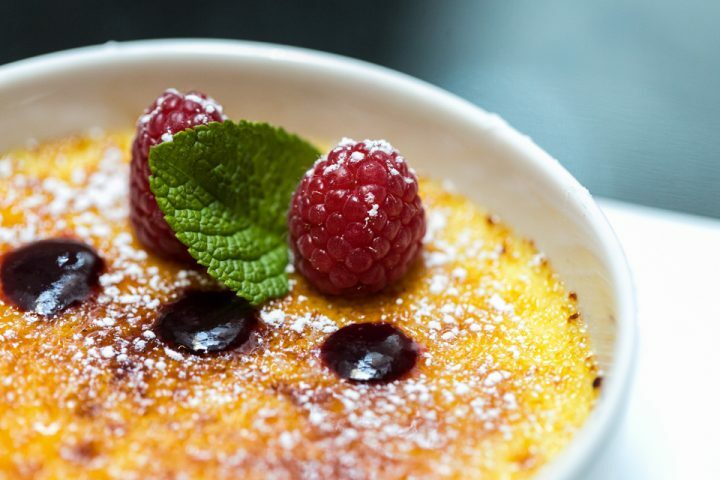 And bar maestros who mix classic favorites with exotic concoctions and make you feel like you belong. 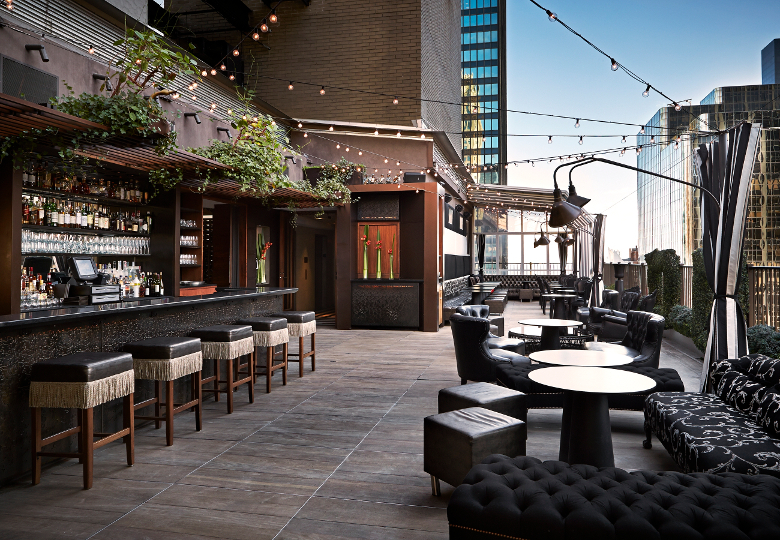 Read on for a list of Archer’s favorite NYC hotel bars. 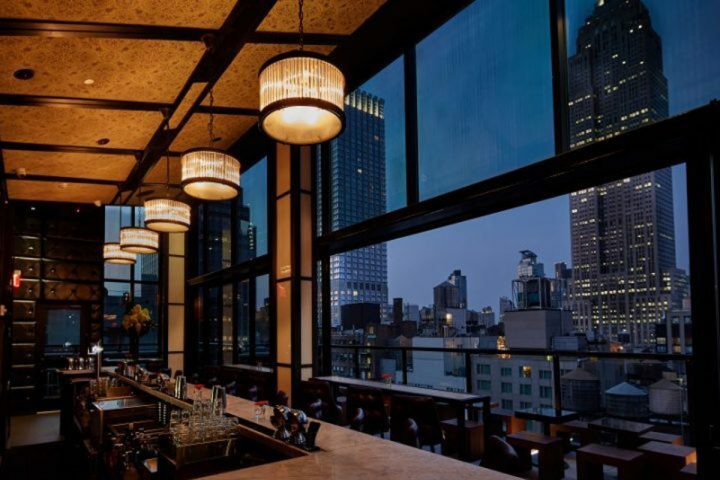 The best of a by-gone era bar with stunner views of the beloved Empire State Building is just an elevator ride straight up. Sitting high atop Archer, Spyglass offers voyeuristic views and approachable ambiance, complemented by celebrated Chef Charlie Palmer and his oh-so-talented Executive Chef, Ryan Lory, who provide a menu of inventive signature cocktails and a wide array of shareable snacks. The unassuming Steak on Toast is a revelation. Tagged one of the most iconic bars in all of New York, and located in one of the city’s most highly lauded hotels makes this hotel bar royalty. The King Cole Bar lives up to its billing. 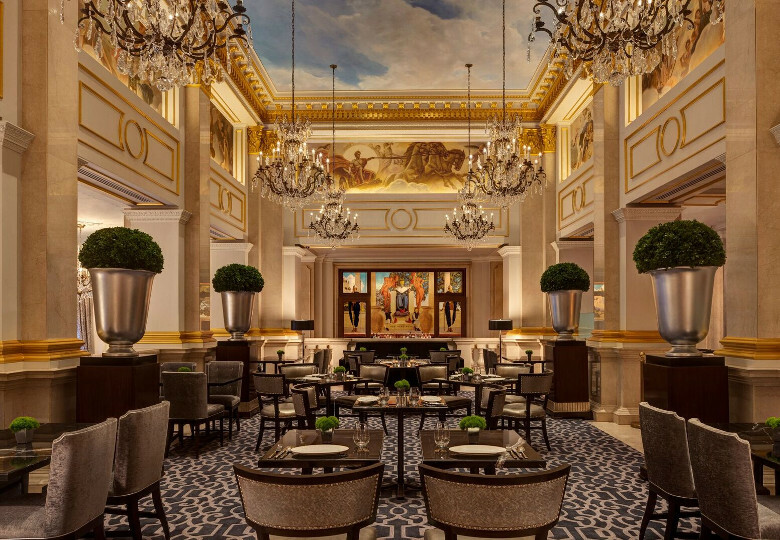 Named after the magnificent 30 foot-long mural by Maxfield Parrish, the century-old painting is the showpiece, but not the only sign of old world charm. The bar’s grand display of spirits, small wooden tables, and grandiose chandeliers add an air of sophistication to the space. Renowned for the Red Snapper – or as you may know it, the Bloody Mary, the bar makes an extraordinary martini and serves a large collection of high-end cognac. Aloha! For a Hawaiian escape in the concrete jungle head no further then Tiki Tabu. 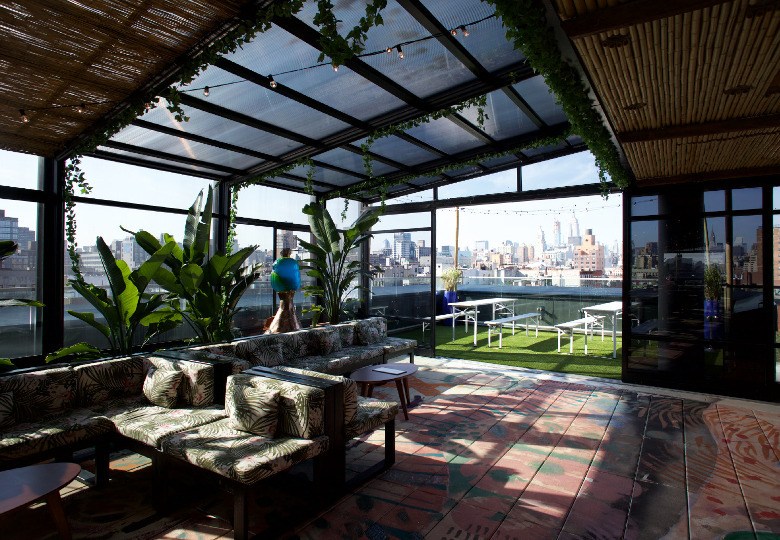 This limited-time rooftop pop-up might not be on our list very long, but the sheer fun of it makes it worth the visit. The bar is all about rum, vodka, and whiskey stirred up with summertime mixes for refreshing joy-filled drinks. But the fun doesn’t stop there —traditional Tiki cups, a white DJ pulpit, and bamboo-deco hand dryers round out the experience. Get there early and there’s a good chance you’ll land one of their palm-printed sofas. 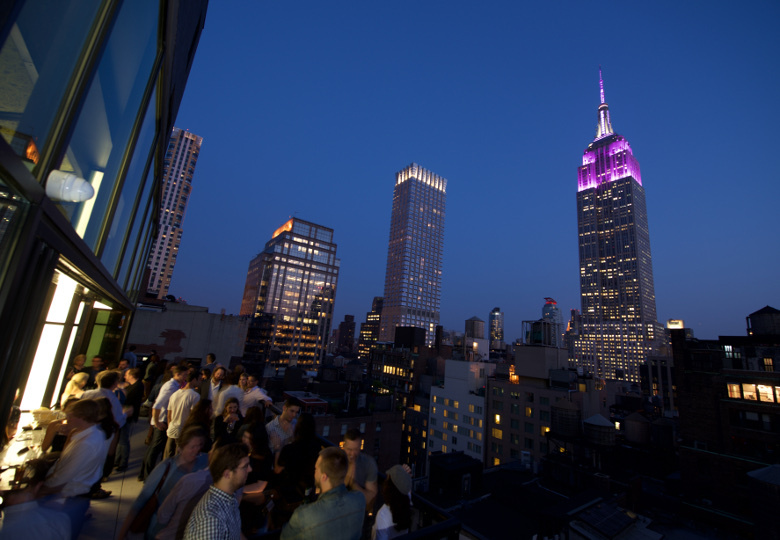 Up 30-stories to be exact, this stunning penthouse bar sits above the Kimberly Hotel in Midtown. 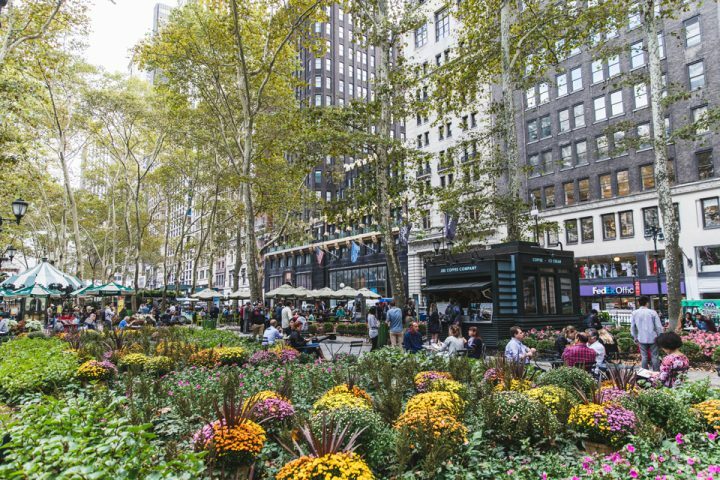 Retractable awnings and ambient heated floors make this an all-season staple. Edison bulb lighting adds to the ambiance. We recommend the Rum Service– a spiced rum-based beverage with honey, fresh pear, and lime juice. 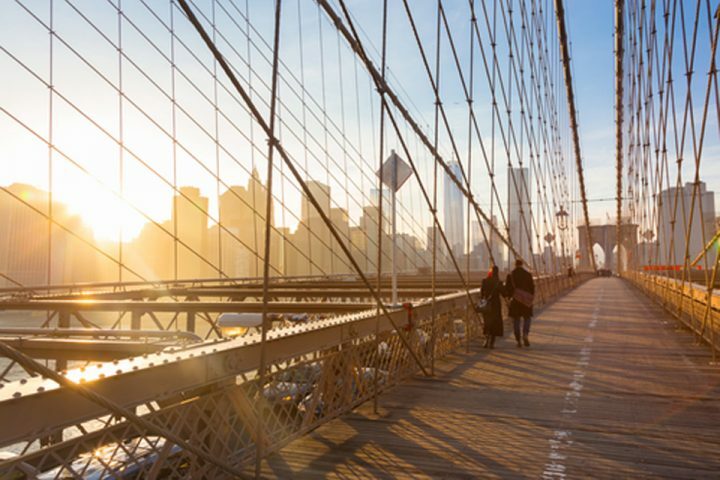 It’s the perfect refreshment for gazing out on Midtown and reminiscing about why you love this city. The NoMad Bar begs you to do more than knock a few back. 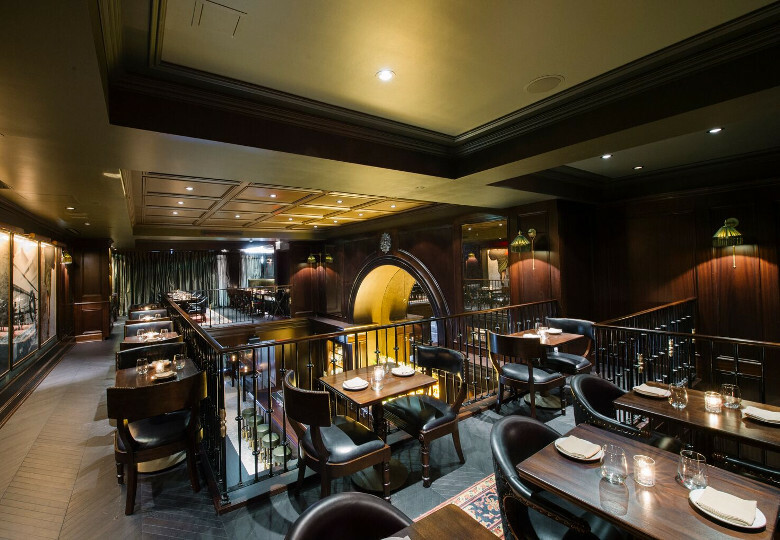 The masculine, bi-level drinking den is outfitted with a soaring mirrored bar, plump leather booths, and fireplace. Sip standard spirits or make a statement with an infamous “reserve cocktail” (one can set you back $198). But, be ready for the menu to steal the show. Bacon wrapped hot dogs with celery relish and truffle aioli, wheels of duck sausage, and a dry-aged Cheddar burger that’s stuffed with suet and bone marrow. Not everyone takes their hotel bar drinking so seriously. 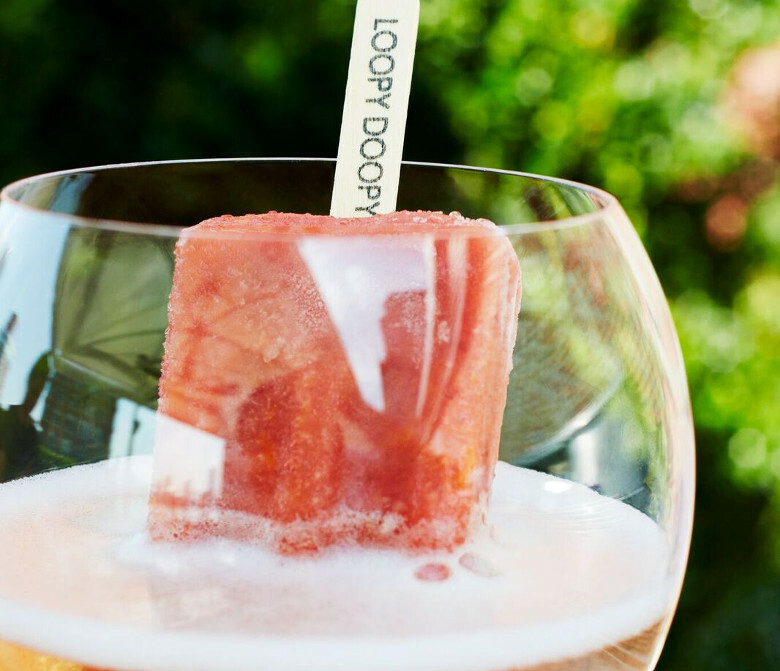 The Looby Doopy Bar (named for the Sol LeWitt pieces in their lobby) is famous for its Prosecco Pops – a playful pairing of boozy popsicles with crisp Prosecco served up in a sizable wine goblet. If you skew more traditional, sip from their well-stocked whiskey menu while snacking on their house mixed nuts. Espelette pepper and turbinado sugar assure this isn’t your grocery store snack mix.